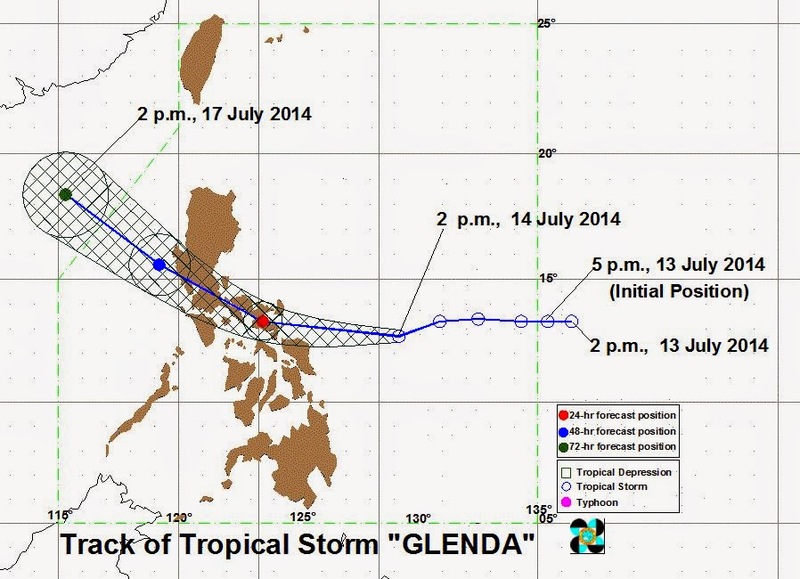 Manila, Philippines - Due to the possible effects of Typhoon 'Glenda' in the country, the Philippine Airlines (PAL) and Cebu Pacific (CEB) have declared flight cancellations for Tuesday, July 15, 2014. "For more information on flight status and rebooking concerns, please call 855 – 8888 or log on to www.philippineairlines.com. Rebooking charges shall be waived," PAL said. "We are re-accommodating affected passengers on the next available flights. Guests have the option to: rebook for travel within 30 days for free, or get a full refund or full travel fund. They may call CEB's reservation hotlines +6327020888 (Manila) or +6332230888 (Cebu) regarding their flights. ", Cebu Pacific said on their Facebook page.